Does God even hear my prayers? Will this ever happen? Does God hear my cry? Any of these questions sound familiar? Have you found yourself praying so long for something that you eventually stop praying for it? Maybe you assume God is only good sometimes or to some people or in the right situations. At some point we shift our focus off who God is, and with all intensity, focus on that thing we are praying. All our passion and focus directed at the cry of our heart. This is the moment doubt is given a voice, fear takes a bold stand, and discouragement hops into the front seat. A key verse for us to brand into our heart is found at the end of Isaiah 60:22. Friends, He isn’t slow to respond. 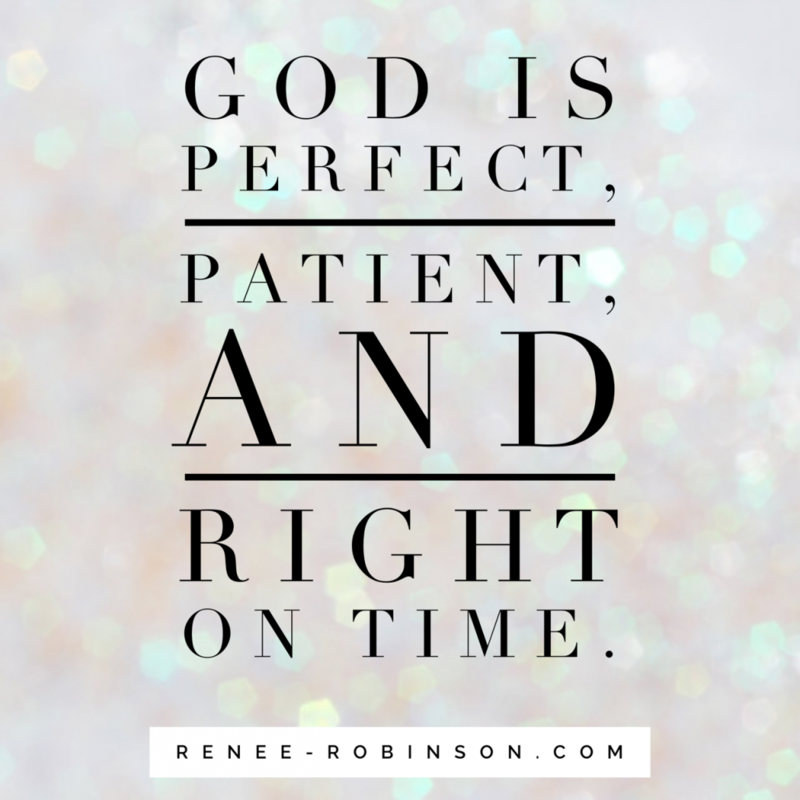 God is perfect, patient, and right on time. When the time is 100% perfect, He will act quickly. He will accomplish all things quickly in its time. He is perfect. He is Sovereign. When doubt and fear creep in, we must remind ourselves to take our eyes off ourselves and desires and place them on who God is. This is the secret. This is the key to perfect peace. When something begins to weigh heavily on my soul, I have to make a choice. Will I allow what the Lord has defeated to overwhelm me? Or will I choose to remember who He is? Sometimes when I read scripture, one or two small words leap out to me. I underline them and toss them around. Friends, He is good always. Do you believe that with everything in your soul? If I’m honest, I don’t always believe this to be true. I do in my head, but I don’t let it connect to my heart. I live in a way that conveys the opposite to be true. 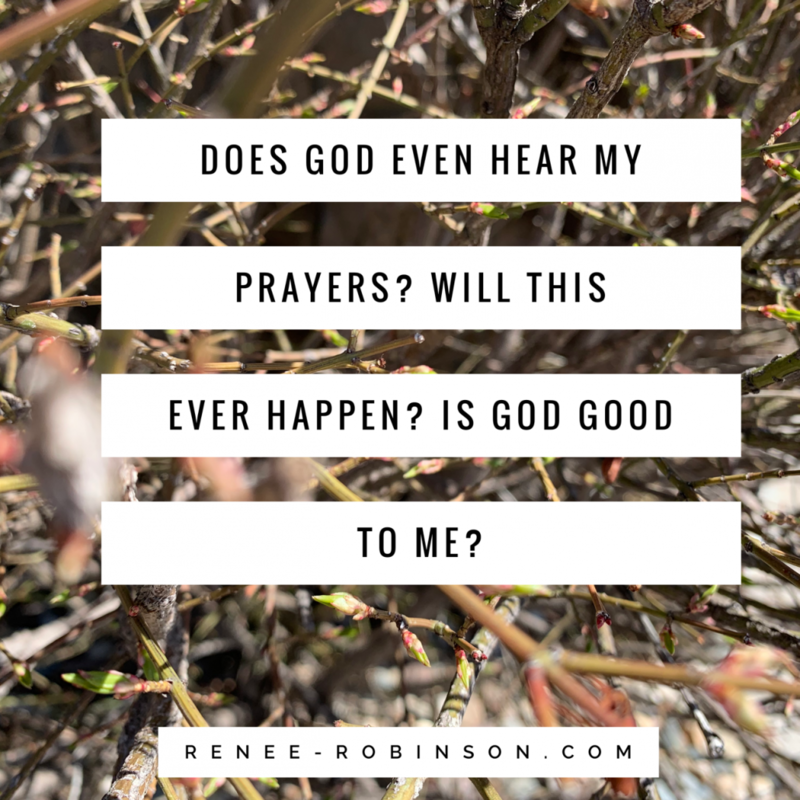 That God isn’t good always. A popular misinterpreted passage of scripture tells us God won’t give us more than we can bear. This is not true. We live in a fallen, sin-filled world. Do you mean to tell me the mother who buries her child can bear the weight of that grief? So what happens when she is drowning in the darkest pit she’s ever known? Is she to believe she’s somehow supposed to bear that weight? When people tell her God won’t give her more than she can handle, what will she begin to think about God? He promises to be our strength when we are weak. We can’t bear what this world offers us. Only God can do that. God didn’t say He’d not give us more than we could bear. No, this is what He said. We will face more than we can handle. But Jesus overcame it all. So we must choose to remember “but God”. We must remember His Word tells us He will act quickly in its time. We must remember He is our Healer and our Comforter. By His stripes we are healed. One day He will wipe away every tear. I’m a part of Community Bible Study. This year we are studying Isaiah. What a book. This is my 3rd time studying this book, and I still struggle through each passage. Today’s commentary is so good I had to share it with you. Community Bible Study, Isaiah Vol. 2 page 144. 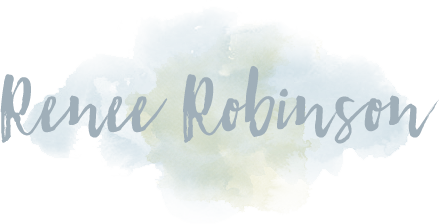 I wrote a devotion to help us keep our eyes fixed on Jesus. It’s so easy to focus on the problems that seem bigger than we know our God to be. ….because we can’t see a solution or a happy ending in sight. But we look at the wrong spot. We have to teach ourselves a new habit. Habits are hard to break. I recently read a book The Power of Habits. It was pretty thought-provoking as I considered my thought habits. My worry habits. I bet you have a few as well. The good news is the brain is pliable and is able to be retrained. We have to retrain our thoughts to focus on who God is rather than what we worry about. I’ve created inspirational tea towels. Everywhere we look we need to remember who He is. 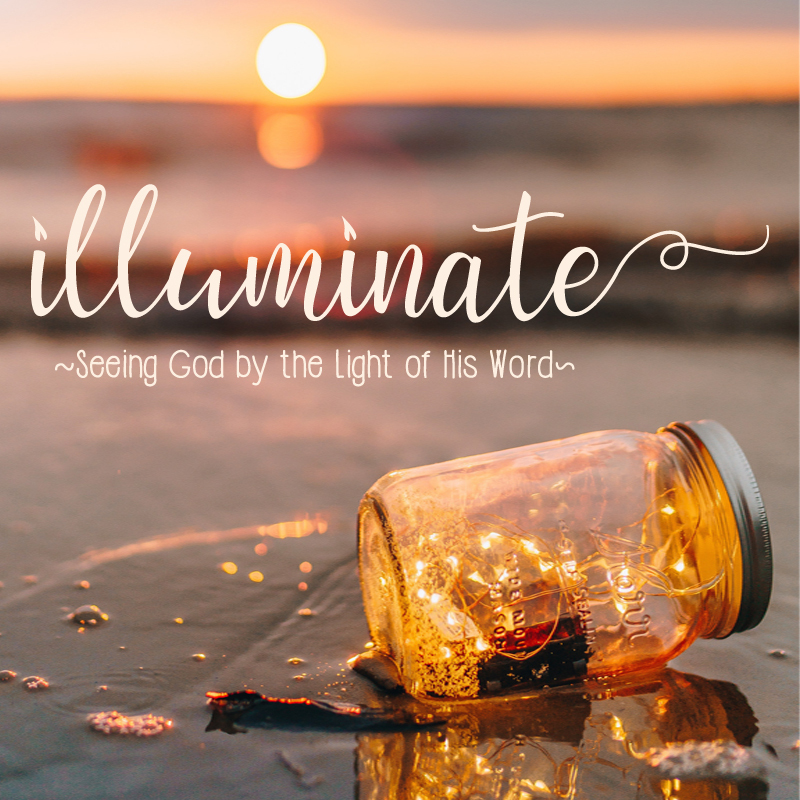 Illuminate will take you on a 14 day journey into a more intimate walk with God. It’s gentle and kind to your soul. One day at a time to reflect on His nature. When you see Him by the light of His Word, all the darkness you face will begin to fade. If you haven’t purchased your copy yet, maybe today is a good day. Maybe you have a friend you want to encourage? Send her a copy by purchasing and entering her email address. And before I forget, I’ve started a new Instagram account. I’d love if you’d follow along if you are already on IG. And tag a friend or many. And one more thing, I don’t take for granted you spending your time here with me. In a world where so much pulls for our online attention, you spending this time here with me reflecting on God’s glory means a lot. Blessings to you! 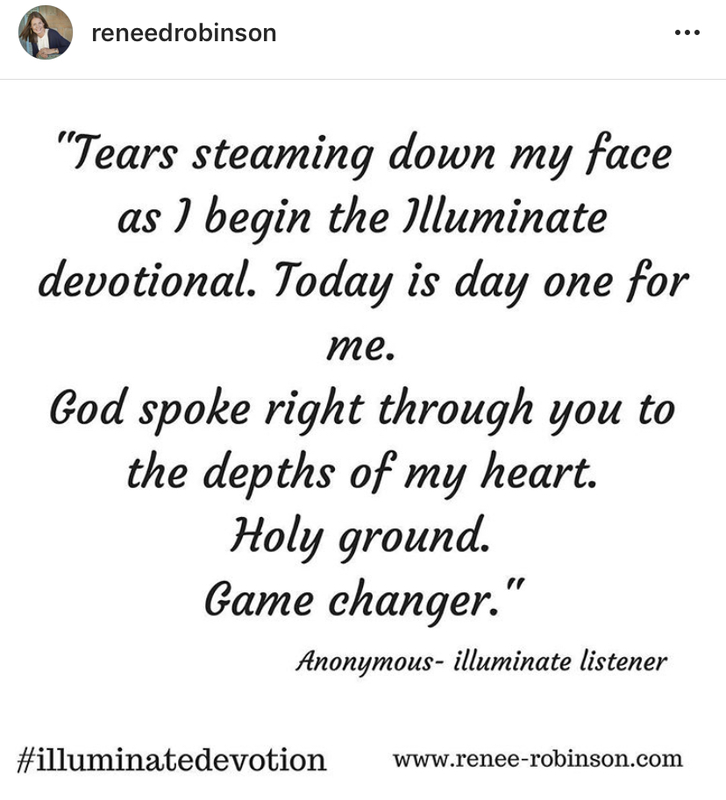 https://renee-robinson.com/wp-content/uploads/2019/04/does-god-hear.png 1280 1280 Renee http://renee-robinson.com/wp-content/uploads/2017/08/ReneeGrey_03.png Renee2019-04-17 12:28:322019-04-17 14:06:53Does God even hear my prayers? Will this ever happen? I’m a doer, a worker. I love efficiency and productivity. I thrive on accomplishing tasks and seeing my tangible, physical progress. The problem is I work better than I rest. The second problem is that I’m rarely satisfied that my work is complete. I set high bars and expectations and can always “do more”. But for a human being, that is chasing something with no finish line in sight. Perfection isn’t reality. At some point I must choose ‘good enough’ and be satisfied. I love how God looked at His work, found satisfaction, then rested. “God saw all that he had made, and it was very good. And there was evening, and there was morning—the sixth day. My nature in my work is to simply keep moving forward. I rarely stop, assess, find satisfaction, and rest. Instead, I complete, I plan, I analyze, I re-assess, I work harder, I complete, I move harder and faster. And when I rest, my mind isn’t really at rest. So is it really a rest? Likely not. When I was a CPA, my boss frequently commended me for my efficiency and productivity. I could knock out some work. That was great for billable hours. But that very strength in my previous career can be downright detrimental to my relationships without careful attention. 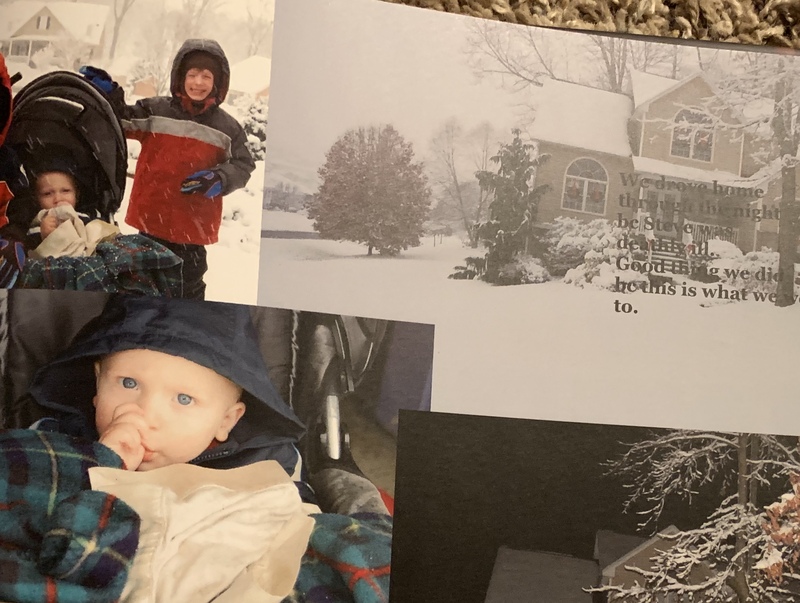 Without being mindful of this bent in me, I can mark off my to-do list and miss my most important task of the day – loving and serving the ones right in front of my eyes. Loving them in the ways they receive it, not the way I receive. Not with acts of service, but maybe with quality time or a gift. 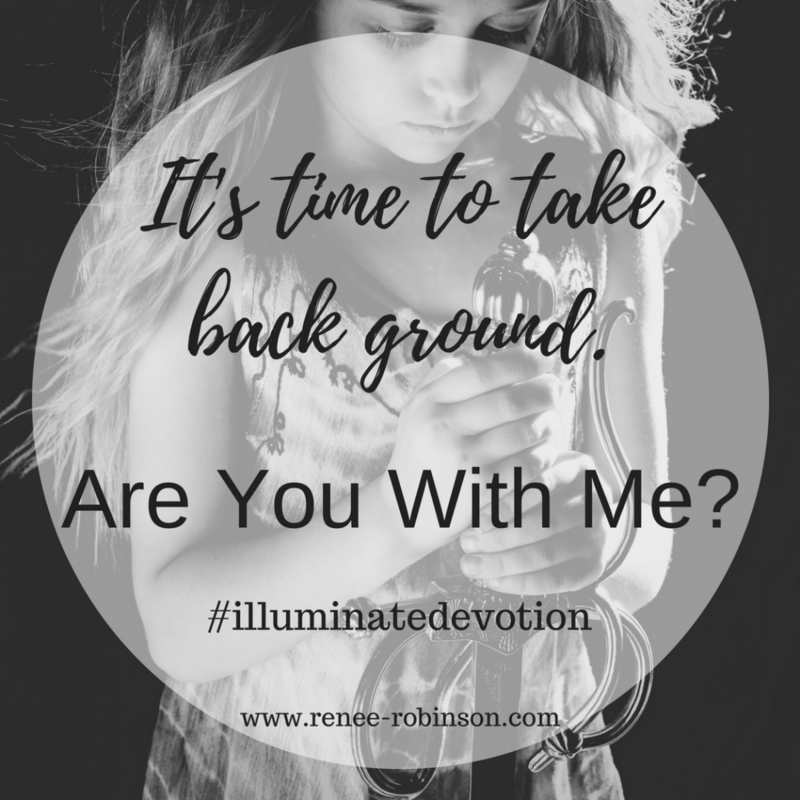 Without intentionality to my time, I can complete a long list of chores, yet miss the invitation to conversations waiting on the tips of tongues. Without planned stops in my day, I may set myself up to be perceived as too busy for anyone to “bother” me. I keep a to-do list like most of us. My problem is that I have no problem adding as the day marches on. If I complete everything, I keep working and adding. Then I find myself believing I can never get anything done when in reality, I got more done than I needed to. I listened to a podcast about tracking time. It was geared towards people who find they waste too much time. Initially, I tossed the idea aside of tracking my time. I did an experiment one day. I set timers and wrote down everything I did all day long. At the end of the day I was simply amazed. I honestly found myself unable to believe I really did all I did that day. Here’s the part I want you to pay attention to. If I had not written all that down, I would have beat myself up over all the things that didn’t get done. I would have focused on the things I planned to do that I was unable to get around to. Things added more than likely as the day moved forward. We tend to focus on the negatives quicker than the positive. And we can be so harsh to our own selves. And this is where I felt God drawing my attention. He wanted me to notice how hard I was to myself, how unkind I spoke to myself inside my own head. He showed me this towards the end of this little experiment of tracking my time. Day one went so well, I tried it a 2nd day. I didn’t want to learn to become more productive. I wanted to learn to be more satisfied in what I’d done and stop trying to do more than is necessary. The reason? I want to enjoy this life with these people in this little pocket of time we’ve been given. I don’t want to be known when I’m gone as the most productive person they’d ever known. I want to be known for how Jesus shined through my life. I want to be known for how God was glorified in me as I found satisfaction in Him and the life I’ve been given. On the 2nd day of the experiment, I noticed my thoughts regarding my time. It was always in the negative. Rarely satisfied that I’d done the best I could do, now it was time to rest. I find myself in a place, I find what’s a struggle and what’s a help. I don’t always have a solution, but I can share what I’m finding along the path. The first step in making changes is simply noticing where the problem is. For me, the problem isn’t that I’m a productive person. It’s that I don’t allow myself the freedom to rest free of guilt and I don’t stop and find satisfaction in the work completed. God shows us this model in His creation. He said it was very good each day. At the end of 6 days, He was satisfied. On the 7th day, He rested. If the God of the universe can work, find satisfaction, and rest, then we as humans can follow His footsteps. What a God we serve. 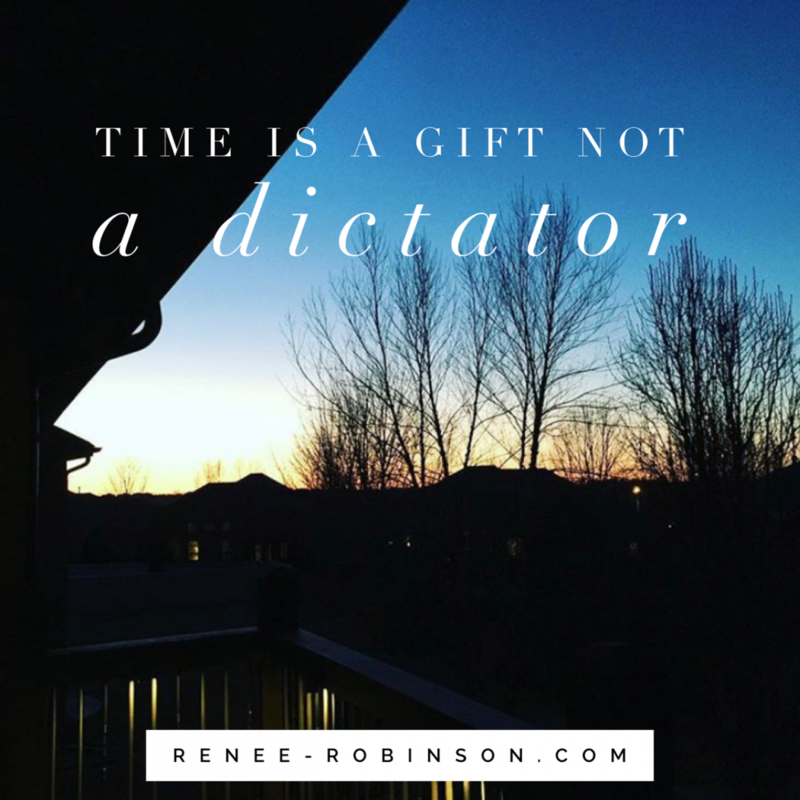 Time is a gift not a dictator. Time is precious. It’s a gift. 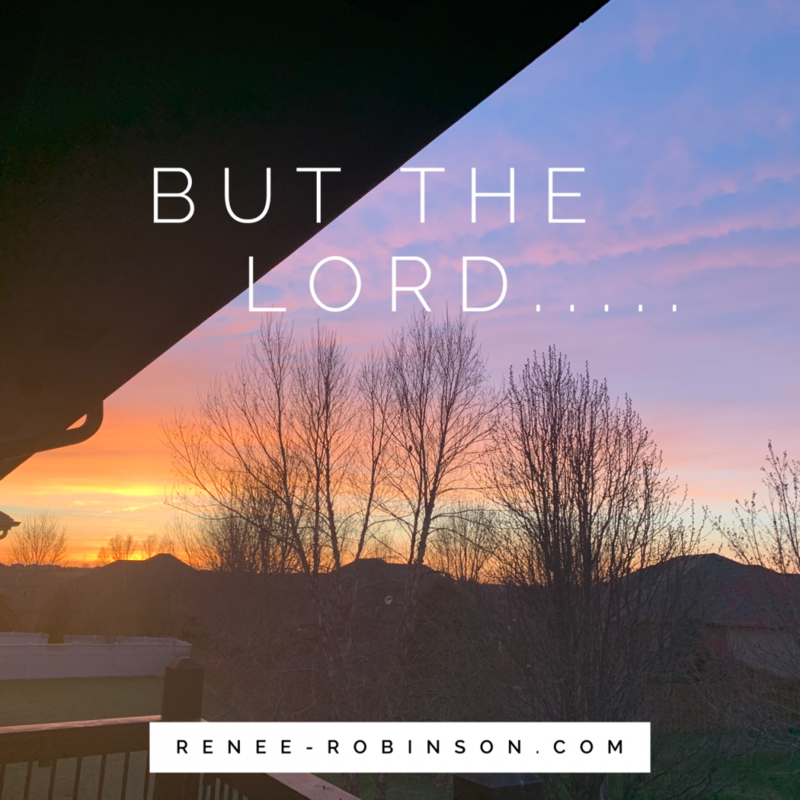 Rather than fighting the clock and running myself into the ground exhausted, maybe it’s time I open my hands and surrender the time to the Lord. 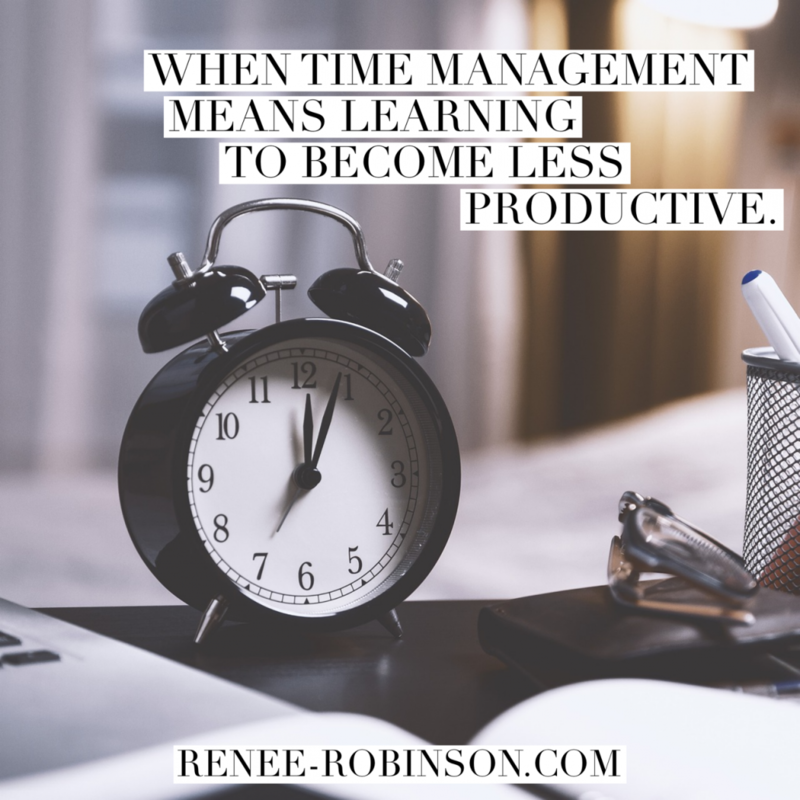 Time doesn’t get to be the boss of me unless I allow it. I’m choosing to see each day as the gift it is. My desire was one thing. My direction toward that desire looked completely different. I did nothing to prepare for my plan. I took no natural childbirth classes. I read little on the subject. The day I went into labor, I went in with only my desire but nothing to prepare me for what was required to stick to the plan. When the doctor entered the room to check me, she instructed the nurses to begin pitocin. Had I researched at all about natural childbirth, I would’ve declined. My contractions became a level of pain I thought could kill me from sheer pain. The doctor later laughed that she had tickets to the symphony and needed this baby delivered so she could make the performance. Well, my plan didn’t stick for long. I quickly begged for an epidural. 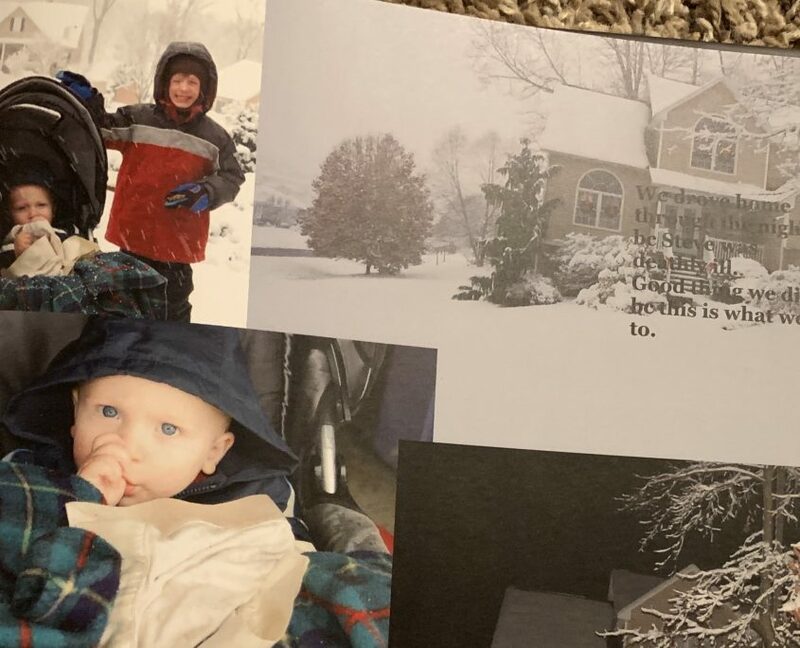 We had our baby, but I felt so disappointed that I hadn’t known enough in advance to prepare better to stay the course. Initially, I wanted to blame the doctor, or the pitocin, or the slow labor. In the end, I realized all the places I wanted to place my blame were mere roadblocks, but they could have been overcome if I’d prepared myself better. 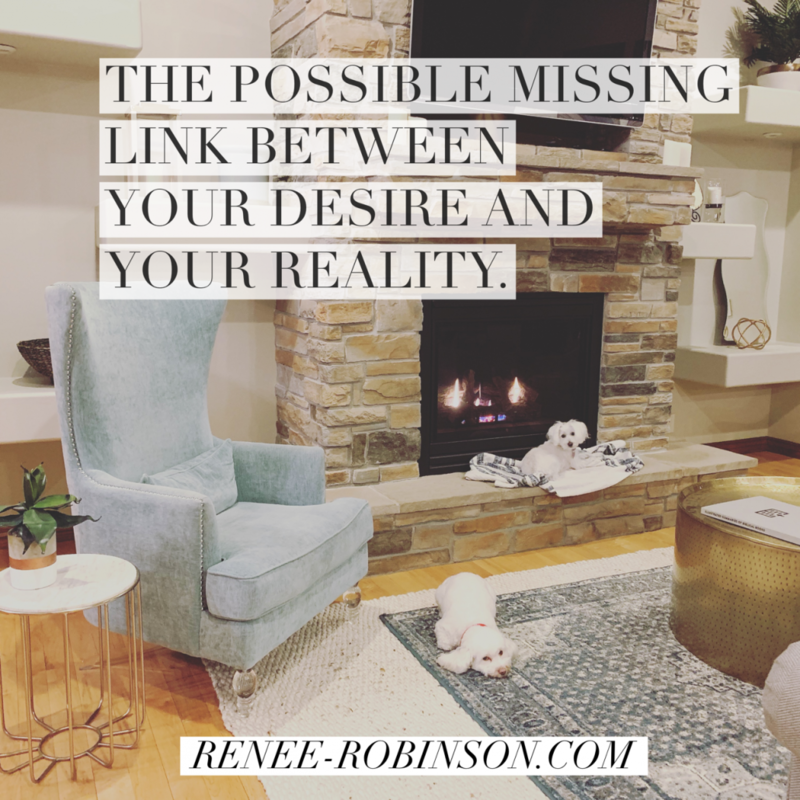 I think we can all relate to having desires for something, yet finding we don’t really do anything to help us achieve those desires. We often lack the discipline necessary to turn those desires into a reality. Desire is easy. Discipline isn’t. Discipline is often the missing link connecting our desires to our realities. That is where the friction lies. Do we desire it enough to create the discipline necessary to achieve it? Is fear of failure holding us back? This is a big one for me honestly. There are certain areas I feel I have failed in so often that I don’t have the energy to get up and try again. If I knew I’d succeed, I’d surely find the energy to try again. This is how I know it’s my fear holding me down. On my second child to be born, I ditched the desire for natural childbirth. I’d determined it was too hard and decided it wasn’t for me. Fast forward to my third child. I saw others having natural childbirth. If they could, why couldn’t I? I began to take notice of what they did different than I’d done. They were in a community with like-minded people. I’d done nothing of these sorts my first attempt. I decided on my third child, if it were within my abilities and decisions, I would stick to the plan. This time I did what I watched others doing who were successful to their desires. I joined online communities and listened to their conversations. I took in all their tips and tricks. I took better care of my body in preparation for the task ahead. I read actual books on the subject. But here was the kicker for me. I hired a doula. I’d never heard that word before I joined a group of like-minded people. This came at a time in our life when finances were not just tight, but we truly had no wiggle room. I still remember the cost of that doula. I don’t know what they cost now, but 11 years ago I spent $400 to have someone coach me through labor. Could I have done it without spending that money? Possibly. But for me personally, when I spend money on something it holds me accountable to something higher. I don’t like waste and am very conscious of the money I spend. To me that $400 was an investment not a spend. I was investing in my deep desire to have this child with no pain medication. When it was over, she was worth every bit of that $400. On this side of it, I know for sure I would have asked for the epidural had she not been with me. If it were Steve and I on our own, we’d have been screaming for the doctors to relieve me of the pain. I know me and my small pain threshold. My point is not to encourage you to spend money. However, at times we have to determine what it will take to turn our desires into the discipline necessary to reach our goals. Sometimes our desires are for things that seem out of our control. Maybe they are to some extent, but there is always some discipline we can create to walk us closer to reaching that desire. Do we desire friends? Do we feel lonely? That might feel like it’s a desire we can’t do anything about. It may take time to find friends, but we can become disciplined in being a friend first. We can place ourselves near like-minded people, we can join groups and communities, we can develop our skills in communicating. There’s always steps we can take to move us in the direction we want to go. It takes discipline. And that is the point many people give up. Yet, God calls us to be disciplined people. Maybe today is the day to get honest with yourself. To rise up to owning those desires and making new actions steps toward the reality. Daily disciplines. One small step at a time. Don’t focus too much on the overwhelming task. Just look at the habit you can create today to move you one step closer. Then practice that habit every day. If we realized the power of our words and thoughts, we’d be much more careful in the choosing of them. What we think and believe impacts how we live and the person we become. What we speak shapes our future. Who said they’d be rebellious? Why would we say these things? I desire to create an environment my kids want to be around. I want to love them well and enjoy them. We are in the teenage years now and this is by far my very favorite season. I speak this out to my teens, telling them how fun they are to be around, how much they make me laugh. Why would we speak fear-driven thoughts? Why would we plant these seed thoughts in our children? They are listening and absorbing. They will absolutely rise to what’s expected of them. Speak God’s Word and promises. 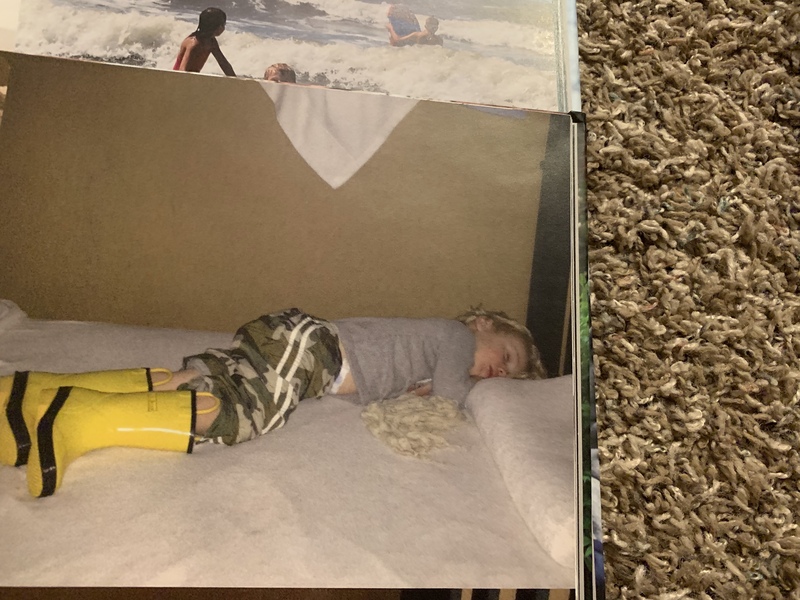 At some point I noticed the trace of a trait in one of my sons I wanted him to notice and build on. He is confident in who he is. He’s not easily persuaded and he’s ok not looking like the world around him. I wanted him to see how strong of a character trait this is. Kids and teens are drowning in a lack of identity and a strive to fit in with the rest of their friends. It was a passing comment honestly. I spoke it in truth, but it was a glimmer I want to glisten and shine over time. Weeks later I overheard a conversation of his. He explained to someone that he isn’t persuaded to follow others because he knows who he is in Christ. I stopped. I stood overwhelmed at the power my spoken words held in his thoughts and beliefs about who he is. 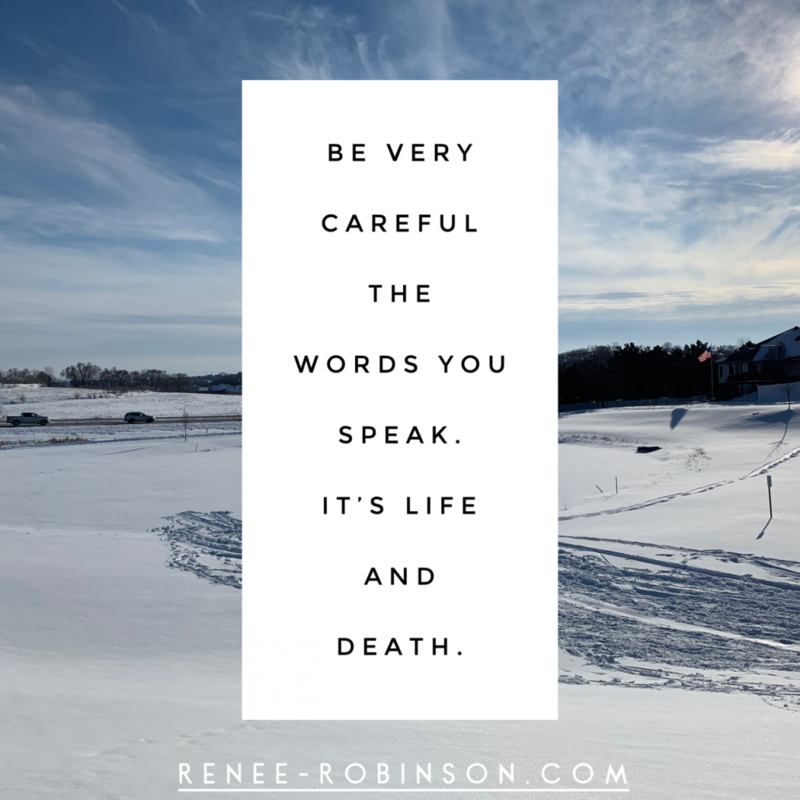 Lord, may we choose our words wisely. May we speak life into and over our kids, our families, and ourselves. May our words be seasoned with salt. May we reflect your love and your truth in everything we speak. May we cast out fear thoughts and lies spoken from the depths of darkness. May we walk in the light You’ve shown. He went on to talk to me about fear. He wasn’t really talking about cancer. Nor am I. And I’m not making any kind of health statements at all. Please hear me on this. I’m simply sharing a statement he made that impacted how I decided that day to think. The point he made is the power of our thoughts and our mind to impact our future. If we fear something, often we actually live into that very fear. Again, please don’t misunderstand. I’m speaking about fear and the grip and influence it CAN have. I’m not at all saying that all of our sicknesses and diseases came because we thought them into being. God has not given us a spirit of fear. Fear is straight from hell. Years after this comment from my doctor, I listened to a Ted Talk on the power of our thoughts. He told a story of a patient told he was dying of terminal cancer. He was given 3 months to live. 3 months later he died. The autopsy revealed he had no cancer. He was told he was dying. He believed he was dying. He died in 3 months. This story has never left me. Over the last year, God has brought my way more information, more books, more conversations, more sermons on the power of our minds than I’ve ever seen in my entire life. I don’t believe that is a coincidence. Recently, one very dear to me confessed a deep fear of cancer in their future. They’ve never had a scare, but it surrounds us. Because years ago God brought people and conversations into my life on this very thing, I knew how to talk to this person. We began casting out fear knowing it’s not from God. We began praying God’s Word claiming a sound mind. I’m choosing to speak life, think life, live in God’s light. Will bad things happen still? Yes. Will sickness and death happen despite our happy thoughts? Yes. Am I saying we just think and talk happy and nothing bad happens? For sure, not. Not at all. We live in a fallen world. Sickness, death, sadness will be all around us. One day every tear will be wiped away. That is our hope. We can choose to speak words of life, hope, goodness, and love. Lord, equip us to use our tongues wisely. Guard our minds from believing lies or listening to the voice of fear, which is not your voice. Make us attentive to You. Speak life into us that we may be so filled by You that You flow out of us to all around us. Amen. 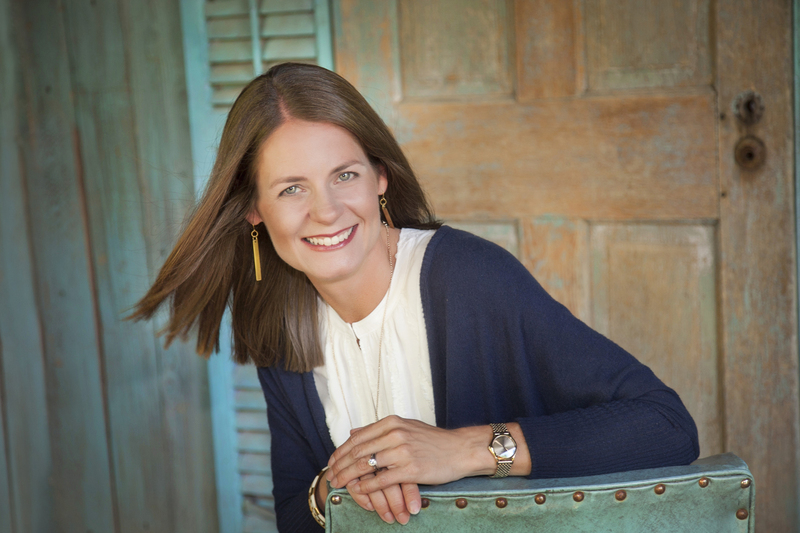 Have you read Switch on Your Brain by Dr. Caroline Leaf? It’s an excellent read I highly recommend. She combines the science of the brain with the Creator of our minds. It’s fascinating and unlike many books of its type, it’s not written over our abilities to process the information shared. She also has a fantastic podcast I love listening to. It’s short and impactful each episode. If you are looking to experience God in fresh and intimate ways, I invite you to grab your copy of Illuminate today. 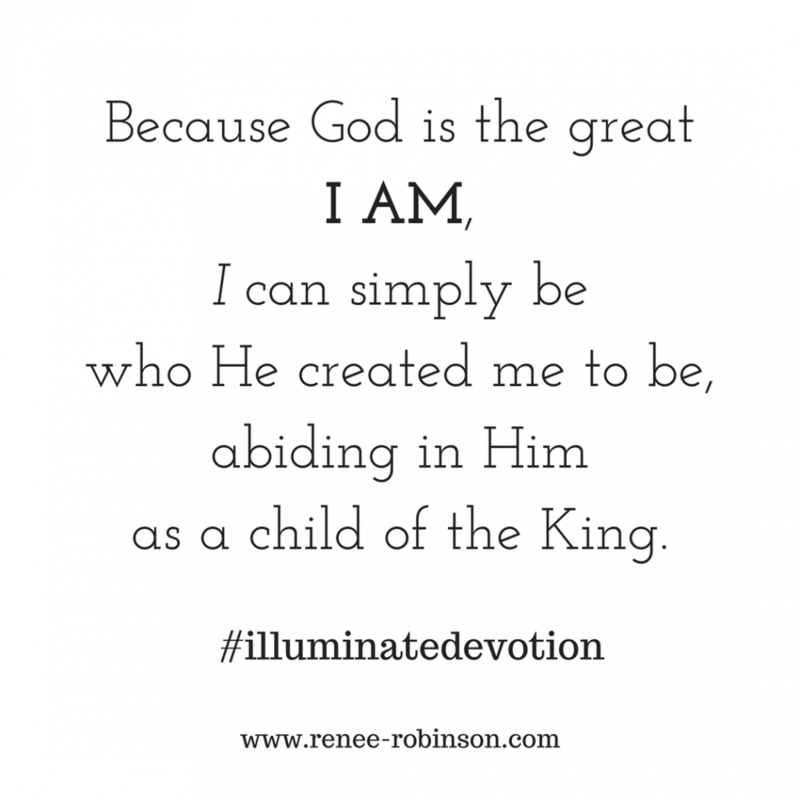 It’s 14 days of devotions centered on who God says He is. Illuminate will give you a practical way to learn to switch your focus and stop giving more attention to fear than to the One who says ‘fear not’. If you are tired of living by fear, anxiety, and worry, Illuminate will be a sweet balm to your soul. It’s available in 2 formats: Ebook and Audio (with pdf download). Get the ebook version here. Get the audio devotional here. I’m giving away my favorite day from Illuminate. Yours for free. I hope you enjoy! You will be able to download the pdf as well as audio. Simply enter your email address below and it will automatically give you the links. If you are new around here, welcome! In case you don’t know, Illuminate is a 14 day devotion, available in ebook as well as audio versions, focused on who God is. What God does flows from who He is. To walk in confident assurance, we must know His character, who He is as revealed in His Word. the one who wants a more intimate relationship with God. the one who feels stuck in their faith. the one who needs a heart revival or a fresh touch from God. those of us who are tired of seeing our fears, anxieties, and problems as bigger than our God. the one ready to see God with fresh eyes. I continue to take a look at the habits in my life. The thing about bad habits is how they can sometimes form with such little effort and feel so difficult to break. Yet, the ones most beneficial to us take considerable energy to develop and we break with ease. I listened to a sermon series by Craig Groeschel titled Habits. He shared that by Valentine’s Day, 92% of people have quit their New Year’s goals and resolutions. 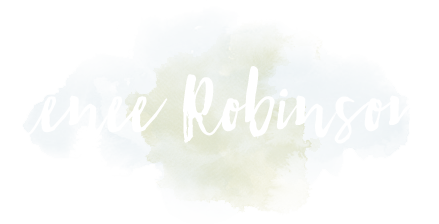 I wrote a post in case you missed it titled 6 steps to fail proof goals and habits. Apparently, I live and write in themes. You know that about me by now I think. Over the last several months I’ve felt my morning quiet times becoming stale. I’ve not heard God with the same clarity. I’ve approached my time with Him like any other ordinary task, something to be checked off a long to-do list. As I listened to this full series, I began to think about my morning habits. In the past nothing came before the Lord and my time with Him. But now, I reach for my phone to see what time it is. I brush my teeth and scan my phone to see what I missed while I slept. I walk to to the coffee pot, I scan Instagram. Are there notifications or messages I missed in the night? I pour my coffee, grab my Bible, pick up my phone and respond to messages, scroll for a minute, decide what I need to post, think about my day. Then I see the time. Where did all that time go? My quiet time is nearing an end without me giving my fullness to listening to God. So, I quickly open my Bible, pray, read, journal, and basically squeeze God into the tiny space left over after checking in with the world first. It’s a habit I’ve created unintentionally. The exact opposite of how I’ve always treated and protected this time and space. I’ve been placing the world before the Word. I knew what needed to be done. I made a decision that God would receive my all in time. God would get the very first of my time, energy, and focus. He will receive my first and best. When we make a decision to step back on the right path, it won’t come easy. The enemy is there distracting. So we fight. 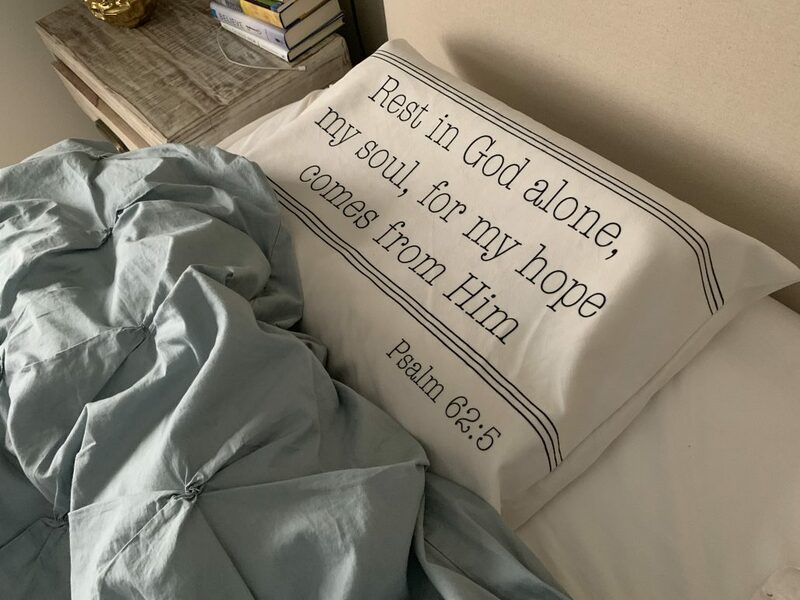 The morning following my decision to break this habit, my eyes opened and I saw His Word first thing on my pillowcase. It was the reminder I needed about the decision I made. Before I can create a new habit, I must surrender the old. I open my hands and raise them to Him. Surrender. The word God gave me for 2019. The word I didn’t seek or ask for. In His mercy He delivered anyway. The world brings distraction and chaos and worry. His Word brings peace, love, and comfort. What have I been doing to my soul? With each step of my morning quiet time, I realized how firmly rooted this bad habit had grown. I had to force my mind back to Him. My hand wanted to reach for my phone so I put it in another room so I couldn’t cheat and pick it back up. It wasn’t easy, which showed me this is a fight worth waging. I already knew that though. Do you know what happened that morning? I received a fresh word from God. I received clarity on some worries I’ve been holding. My mind felt more stable and calm. My King never left. He was there speaking all along. I’d just filled my eyes and ears with sounds and images that shut Him out. The enemy steals in the stealthiest ways. Therefore, we guard. We protect. We choose. We aren’t victims of our habits. We own our choices. It’s not easy, but in His strength we can break the habits needing breaking and create the habits waiting to move in their place. I once heard a sermon about the idols in our lives. He said when we discover an idol and decide to remove it, we must replace it with something good. Otherwise, that empty spot will find something eventually. Well, he said it better than that, but you get the picture. We have the power to choose. Here’s the steps I’m taking. Place my phone in the bathroom at night rather than my nightstand. I look at my pillow and remember to pray and start in the Word. I pray before getting out of bed to set my mind and heart on Him. I preset the coffee pot the night before. I have all my Bible study materials ready in my spot before going to bed. When my quiet time is up, I check my phone. But I have to walk to another room to get it. Just little tweaks and changes to help me stay the course. Maybe you are like me and need visual reminders to fix your gaze on Jesus first thing in the morning. Maybe you’d like to break your habit of checking in with the world with the first of your day via Facebook, Instagram, the news, email, whatever the source may be. Maybe you are like me and you are tired of starting your day from a place of anxiety, worry, and fear and you are ready to claim the peace He promises if we seek Him first. If you could use help in this area, I have one small tool that is helping me. 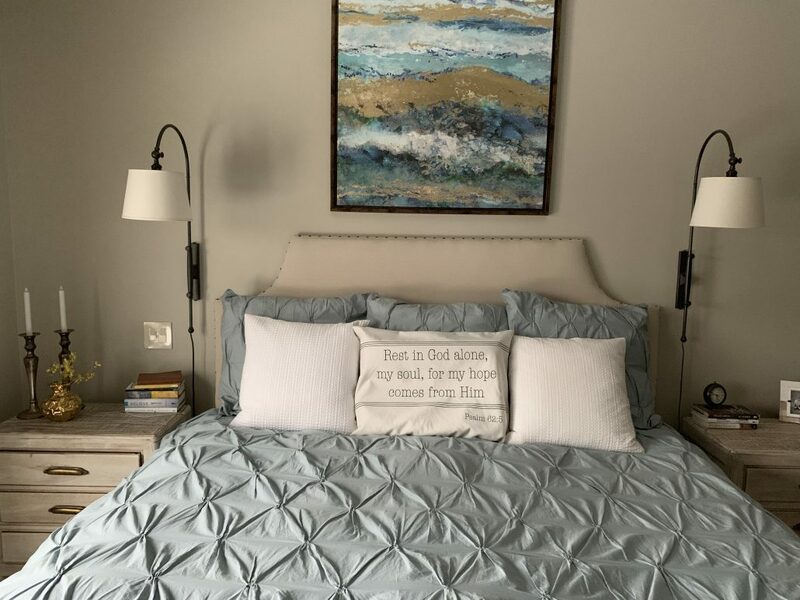 Scripture pillowcases. It’s the trigger I need to force my mind back to the decision I’ve made to start in the Word. I see His Word with the first and last of my day now. I pray that verse as I literally rest on His Word. Then I get up renewed by His strength, ready to stay focused on creating new, better habits. You can see the full collection on my shop page right here. Do you want a custom verse? I do that too. If you’d like to receive posts in your inbox, simply click here. It’s the best way to be sure to see all posts without the distraction of scrolling social media to find them. Insert winking emoji. Let’s keep marching towards our most intentional year ever!! 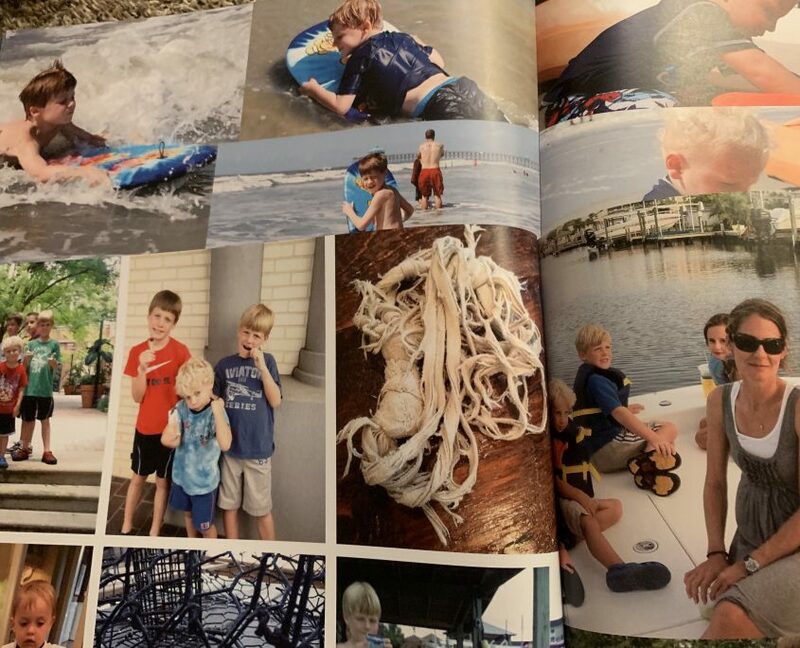 For the first 5 years of Jacob’s life, he had a well-loved, treasured baby blanket. It had a name. Boppy. When Andrew was born, Jacob passed Boppy down to his new baby brother. Boppy became Andrew’s prized possession. Everywhere Andrew went, Boppy followed. To bed, in the car, outside to play. As time and life wears us down. Over the years this treasured possession began to look more like a torn, worn, and forgotten rag. The once silky edges were no longer present. The body of the blanket began to show its age with little holes. But it wasn’t forgotten at all. It was loved very well. No matter the condition of Boppy, Andrew’s love remained unchanged. Smelly, stinky, holey – it mattered not. Andrew faithfully loved his prized possession. His cries began to rise as panic set in. I frantically searched the stroller, the buggy. Boppy was nowhere to be found. I grabbed the hands of my little boys and drug them around the store as we retraced our steps. Every last step of that enormous warehouse. 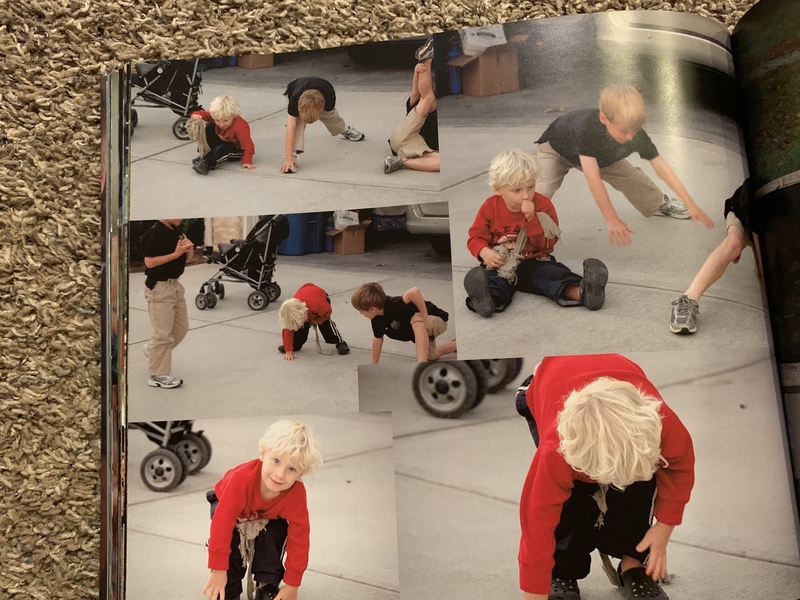 Andrew’s cries escalated as he loudly called out Boppy’s name over and over and over again. Feeling defeated, the 4 of us gave up the pursuit of Boppy and made our way to Customer Service. I looked for someone I thought would understand. She stood before me like an angel. A mother, a grandmother. She might as well have been an angel. I explained the situation, but there was no way I could possibly convey the value of this tattered rag. It didn’t aesthetically appear valuable. It appeared worthless. By the way I acted, I’m sure she envisioned a baby blanket covered in jewels. What appears as trash to one is treasure to another. Andrew’s cries never softened or lessened. I saw compassion in her eyes as she promised me she would do everything she could to find Boppy. We left in tears, knowing Boppy was somewhere in that store and not with us where it belonged. For 2 solid days Andrew cried in fits. He skipped all naps crying out for Boppy. 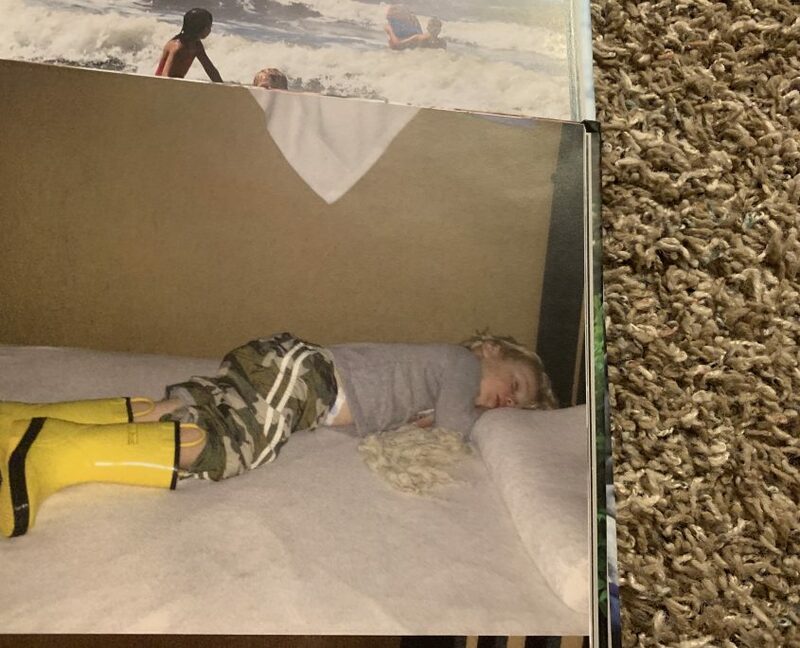 At night he’d fall asleep then wake crying out for Boppy. We were all exhausted. My heart ached watching my baby hurt. On the third day, my phone rang. My angel clothed as a Costco employee informed me Boppy had been found. 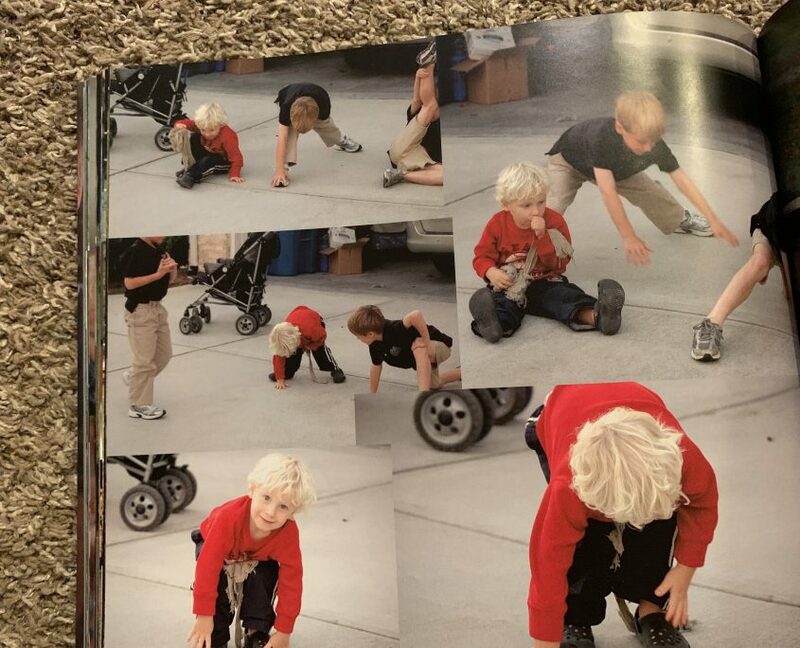 I burst into tears, scooped up my boys, and raced to Costco. The woman handed us a ziploc bag sealed tightly. When someone goes on a rescue mission. Ya’ll, she went to the dumpster on our behalf. She went to lengths most can’t imagine. All for the sake of love and reuniting my boy with his prized possession this lady went dumpster diving. She handed the torn, ragged, worn, smelly rag to us. Andrew didn’t see the holes and stains. He saw that stained rag through eyes of deep, unconditional love. He saw it whole and new. It was his prized possession. His special treasure. God created man in His image, perfect and whole. But man chose to disobey God. Because of this disobedience, sin entered the world. Because of sin, we have heartache, disease, death, and sadness. And this separates us from our holy, perfect God. God set out on a rescue mission. One no man could fathom. He went to lengths unimaginable because we are His special treasure. 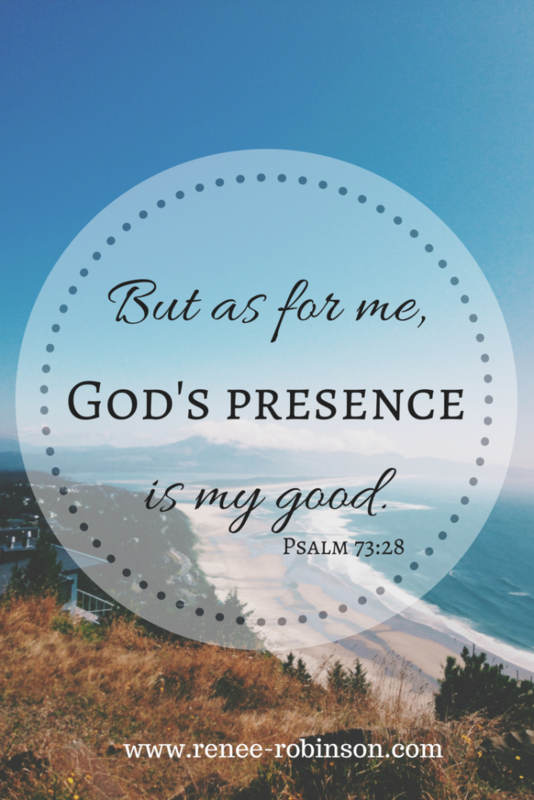 We are his prized possession. He was willing to dig us out of the dumpster and save us when we were unable to save ourselves. God went dumpster diving to find us in this heap of a mess. Here’s how the rescue mission went down. God sent His one and only son, Jesus, to be born on this Earth as a baby. He was fully God and fully man. Jesus lived a perfect, sinless life and was crucified on a cross, bearing the full weight of our sin on Him. He died and resurrected after 3 days. Jesus defeated death. Death lost its grip on us that very moment. When we accept Jesus as our Lord and Savior, union between God and us is restored. Apart from Jesus, we are a worn, torn, smelly rag of a blanket. Yet, we are God’s treasure, and because of Christ, He sees us as a perfect, spotless, prized possession. We are children of God. But you are a chosen people, a royal priesthood, God’s special possession, that you may declare the praise of him who called you out of the darkness into his wonderful light.